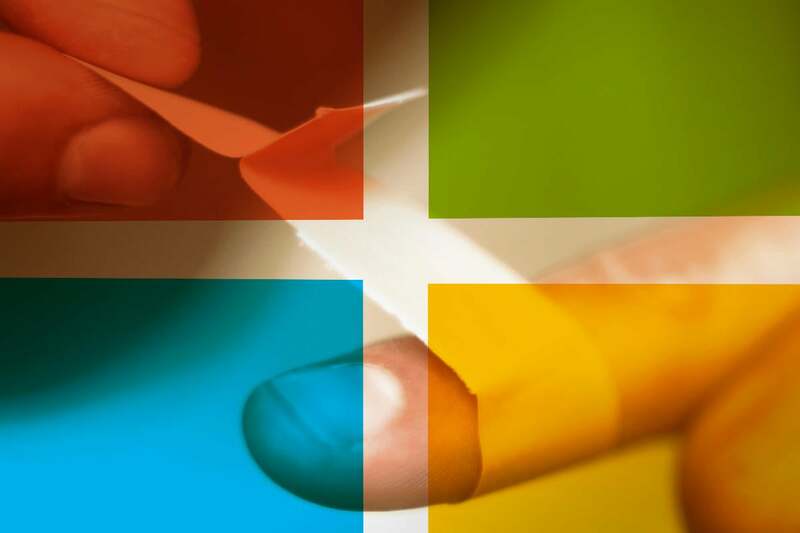 This month’s fourth-Tuesday patches includes a bevy of bug notices and a warning to uninstall old Previews, the fourth “Monthly Channel” update this month for Office 365, and our old snooping friend KB 2952664. Once upon a time, the fourth Tuesday of the month was reserved by Microsoft for non-security patches. How times have changed. Yesterday, we saw a bunch of new bug warnings — including an admonition to uninstall a previous buggy .Net Preview patch — and an unexpected fourth update this month for Office 365’s reputedly stable Monthly Channel. .NET Framework applications might experience System.Security.Cryptography.Xml.Reference.LoadXml exception errors after you install the February 2018 .NET Framework Preview of Quality Rollup updates for Windows 7 SP1, and Server 2008 SP2 and Server 2008 R2 SP1. Because of this known issue, update KB 4073701 is no longer available from Windows Update, WSUS, or Microsoft Update Catalog as of February 23, 2018. The instructions at KB 4091227 tell you how to uninstall the patches. Which you should take as a subtle hint that, if you got suckered into installing the Previews, you better get rid of them. None of those patches are currently available in the Microsoft Update Catalog. No indication when they might reappear. The LSM.EXE process and applications that call SCardEstablishContext or SCardReleaseContext may experience a handle leak. Once the leaked handle count reaches a certain threshold, smart card-based operations fail with error "SCARD_E_NO_SERVICE". Confirm the scenario match by reviewing the handle counts for LSM.EXE and the calling processes in the process tab of Task Manager or an equivalent application. Monitor the handle counts for the LSM.EXE process and the calling process before and after installing this update. Restart the operating system that's experiencing the handle leak as required. Which, I’m sure, is comforting news for most Windows 7 customers. You would think that the Office “Monthly Channel” would be stable enough to warrant the name “Monthly Channel.” Not so. Microsoft just released the fourth version of Office 365 this month — build 9001.2138 on Feb. 1, 9001.2144 on Feb. 7, 9001.2171 on Feb. 13, and now version 1802 build 9029.2167 on Feb. 26. Just did notice that Office 365 has yet another update released on the monthly channel yesterday. That makes 4 this month. Why don’t they rename it the weekly channel. This update stuff is just pure madness. English translation: Stop using Win10 1607. Which apparently means nobody bothered testing KB 4011273, last month’s Outlook 2010 security patch, on XP or Server 2003. And it took nearly two months to fix it. Starting this month, Microsoft feeds Meltdown/Spectre vulnerability information into its Azure-based Windows Analytics package using telemetry from those patches. If you’re running Windows Analytics and you don’t want to use Steve Gibson’s inSpectre, the patches are worthwhile, snooping and all. If you don’t plan to upgrade to Win10, and don’t care about an Azure-based snooping tool, there’s no reason to install KB 2952664 or KB 2976978 . For whatever reason, as of early Wednesday morning, Microsoft still hasn’t released a fix for the acknowledged bugs in this month’s cumulative update for Win10 Fall Creators Update, version 1709. Some of the folks who run the latest Windows 10 are still getting INACCESSIBLE_BOOT_DEVICE bluescreens. Others are having their USB devices wiped out. It’s been a pesky patching month. You can see a list of all of this month’s updated KB articles on the AskWoody site. Thx to @SB, @MrBrian, @abbodi86, @PKCano, @bobcat5536 and many others. Join us for ruminations and recriminations on the AskWoody Lounge.